A quarter of drivers and cyclists fear for their own safety when taking to the Capital’s roads, according to a new study. The study, described as the first of its kind, was carried out by cycling insurer Cycleplan who analysed more than half a million social media posts – from both cyclists and drivers – between January 2016 and July 2017. 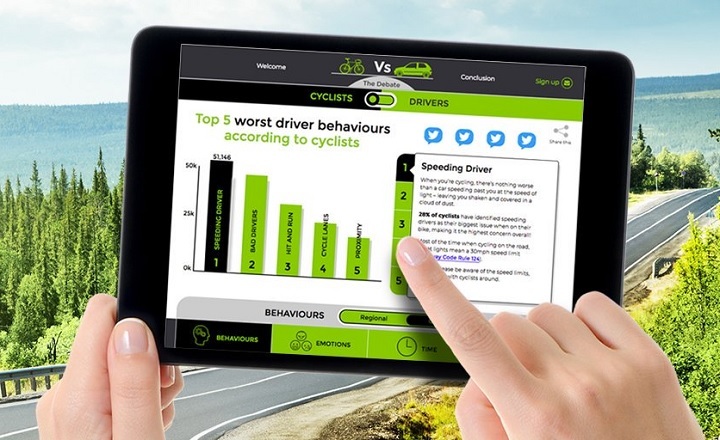 The primary aim of the study was to provide an insight into the emotional state of road users. The study reveals that 25% of London’s road users experience fear; above the national average of 20%. Perhaps unsurprisingly, London fails to appear in top five locations where road users felt joy – but at 4%, it tops the list of areas where drivers feel disgust. Across the UK, ‘anger towards one and other’ was found to be the top emotion, experienced by 53% of road users – while just 11% feel ‘joy’ while either driving or riding. “To make the roads a better and safer place for cyclists and drivers alike, we need to remove the blame by each side. “The more understanding we all have in sharing the road, the less stressful travelling on them will be. “As a driver and a cyclist, it’s equally important that when I’m riding my bike or driving my car, I’m adhering to the Highway Code because it’s not just about my safety, it’s about everybody else’s safety. Nearly three quarters (76%) of the social media posts in the survey were uploaded by a male respondent, while nine out of 10 (90%) were from persons aged 35 years and above.